Bedeviled by Colin Duriez is well written and well informed. As a work that considers the impact of history upon the Inkling’s writings, what emerges is almost a biography of literature. C.S. Lewis, J.R.R.Tolkien, Charles Williams, Owen Barfield and a few non-Inklings (such as Dorothy L. Sayers) are the authors Duriez includes. The works are viewed in light of wartime philosophies, experiences, and the conversations war brings about of evil and suffering. Most engaging is Duriez’s ability to link the works together thematically, drawing connections among authors, their publications, and the impact wartime had on both. Duriez’s knowledge of the Inklings is vast. Intimately acquainted with the works referenced, he speaks about their literary heritages as well as noting various images and motifs used throughout each one. Further, historical accounts and biographical materials are arranged so as to illuminate why specific and similar ideas emerge across the authors. At times, this causes repetition. Not only by referencing works multiple times but in repeating themes already fully developed. Perhaps unavoidable, as Duriez is looking at multiple authors producing multiple works all shaped by the same experience of war, it nevertheless weighs down the book. In addition, the repetitive nature cements the wartime influence on C.S. Lewis’ writings as his works are the ones that continue to circle back into consideration and best highlight Duriez’s theme. Colin Duriez pulls back the covers of great literature that wrestles with evil and suffering, giving access to potential readers. 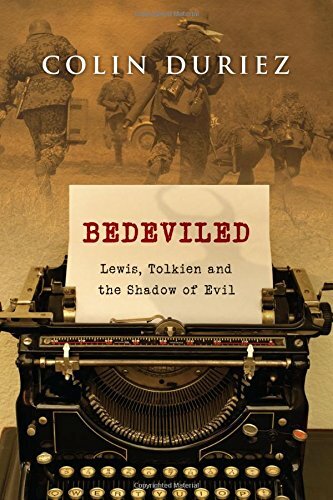 Approachable and enlightening, Bedeviled will charm any Inkling fan, and perhaps make fans of those less familiar.